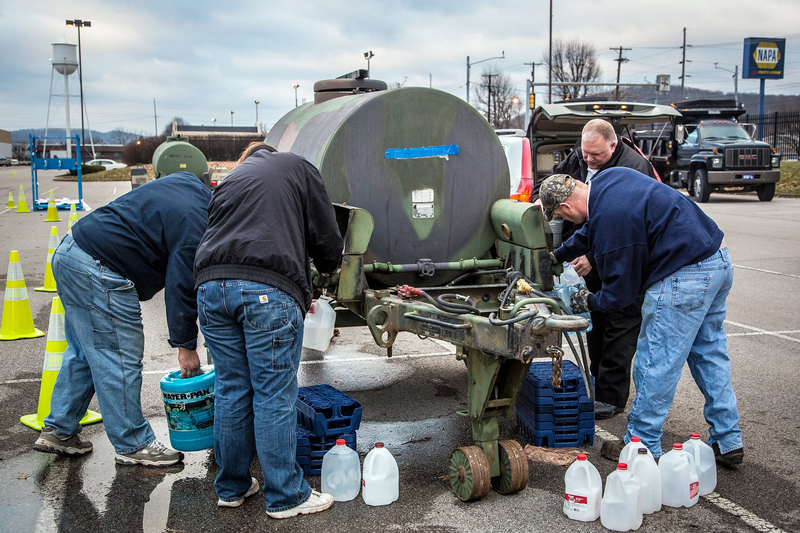 Last week, a West Virginia chemical plant spilled an indeterminate amount of a dangerous chemical into the local water supply, creating an environmental emergency. As a result of this spill, residents of nine counties in the Charleston area were left without any access to public water for nearly a week—they were unable to drink, bath, or even wash clothes with anything but bottled water. 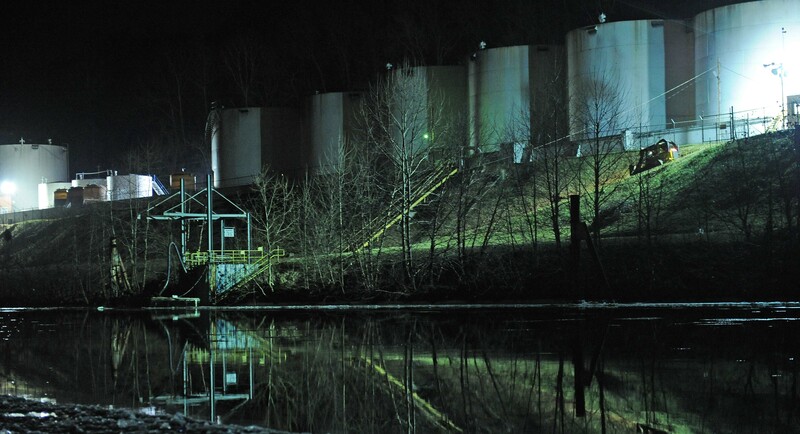 The West Virginia chemical spill occurred when tanks at the ironically-named “Freedom Industries” chemical plant began leaking a dangerous chemical called 4-methylcyclohexane methanol (MCHM). Freedom Industries is located a short distance upstream from the local water treatment plant, resulting in the spill affecting virtually all of the drinking/washing water for the nearby population. According to the Americans Association of Poison Control Centers, the initial symptoms of exposure to MCHM include: Nausea, vomiting, dizziness, headaches (ranging in severity), diarrhea, reddened skin, itching, and rashes. Symptoms can become even more severe for vulnerable people (ex. children and the elderly) and the long term consequences of exposure (ex. cancer risks) have simply not been studied enough to conclude anything. While authorities have now claimed that the spill is contained and the water is now safe to drink again, that is a claim that West Virginians must look at with caution. At the time of the spill, the government had yet to run lethality tests on MCHM and was forced to ask the industry for information on the dangers of the chemical to those in the affected areas—they were answered with material safety data sheets populated with “data not available” entries. The claim that the water is now safe to drink is based upon the instincts of chemical experts and a CDC study on rats that was started as soon as the spill was discovered (less than a week ago). Ultimately, even if the West Virginia MCHM spill is truly concluded, it has illustrated several extremely worrying safety concerns that are relevant for future spills. The West Virginia spill illustrates that regulations on industries which deal with chemicals are woefully inadequate. A combination of loopholes (often engineered by industry lobbyists) and the under-funding of regulatory bodies has dramatically reduced the effectiveness of the government’s regulation of dangerous industries. Freedom Industries was allowed to store chemicals which had yet to be tested for safety, at a site that had not been fully inspected since 1991 and was located extremely close to the water supply of a residential area—this is a perfect storm of regulatory failure that could easily have resulted in deaths. While it might be comforting to assume that the Freedom Industries regulatory failures are a fluke, the reality is that this spill is by no means unique. For example, a Texas fertilizer plant blew up last year, causing immense damage—just as in this case, the plant was improperly storing large amounts of a dangerous chemical at a location that was dangerously close to a population center. Put simply, the United States government needs to overhaul regulations on dangerous chemicals, increase funding for regulators, and impose extreme consequences for those who endanger the public. If we can achieve all of these reforms, we can dramatically reduce the number of ecological and human crises that arise from accidents at chemical plants. Unfortunately, industry doesn’t want reform—that would cut into their bottom line—and is willing to pay our representatives to stop these reforms from happening. Assuming that chemical containment vessels are perfect is both extremely dangerous and extremely stupid. The fact is, containment vessels for dangerous chemicals are imperfect and every tank, pipeline and production plant has the potential to leak—as such, regulators must work to minimize risk and prevent private sector interests from building facilities in places where accidents can cause immense damage. 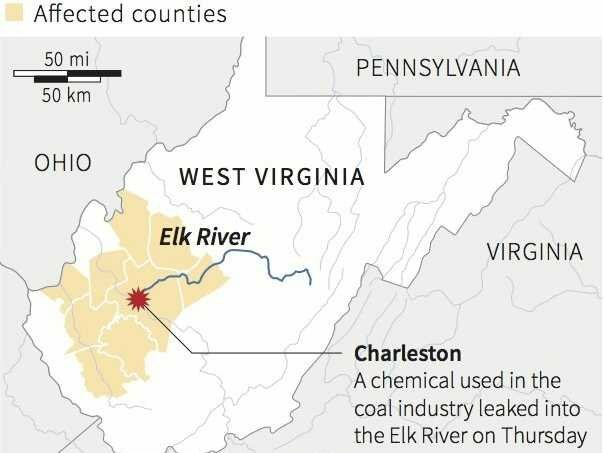 In the case of West Virginia, a chemical plant was located upstream from a major water treatment plant in a way that was a disaster waiting to happen. Fortunately, this leak involved a non-lethal chemical and not one that would result in widespread devastation for the local population; unfortunately, there are other such situations with the potential to cause far more damage to life and property. Specifically, the construction of the Keystone XY pipeline threatens to place a pipeline that carries a highly toxic mixture of chemicals across the largest aquifer in the United States. If this pipeline were to be built and fail, it would cause a disaster which would make the West Virginia spill look like a small car leaking brake fluid—not only would a Keystone leak involve more dangerous chemicals than the Freedom Industries spill, but it would also be far larger in scale. The American people need to see the West Virginia spill as a warning against letting the desires of industry override the safety of the American people. We must demand that our representative help regulators do their jobs and ensure that dangerous chemicals don’t get leaked into our environment. Unless we do this, we will look back from the next chemical spill (that will likely be far worse than this one) with the hindsight knowledge that we were warned and should have acted to ensure our safety.